Golf’s new drop rule has struck again. During the first round of the LPGA’s first major of the year, the ANA Inspiration, an already tough hole got worse for one competitor thanks to the new Rules of Golf. Korean golfer Sei Young Kim birdied her first hole at the ANA, the par-4 10th. But she ran off a string of bogeys at 12, 13, 15 and 16 before reaching the par-5 18th. That’s when things got ugly. Kim hit two balls in the water, which guards the green. That’s where most of her high score came from. But then a rules mistake added insult to injury. After one water ball, she dropped the ball from shoulder height. In 2018, that was the way to operate. In 2019, it’s a penalty. Golfweek first reported the violation. 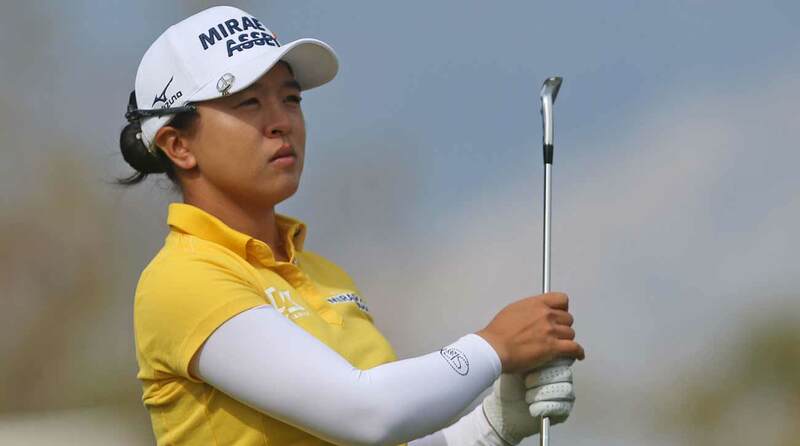 Sei Young Kim was already having a tough hole before messing up the drop rule at the ANA Inspiration. Golf’s new drop rule has come under fire from various pros. Bryson DeChambeau called it “absurd.” Jordan Spieth said the rule was “like a frustrating asterisk.” And Rickie Fowler was critical of the new rule after a post-shank drop cost him a shot at WGC-Mexico. The new drop rule states that a player must drop the ball from knee height, and that the ball must not touch any part of a player’s body or equipment before hitting the ground. The ball must only be dropped in and come to rest in the relief area, and if it fails to stay inside the relief area it may be dropped again. If still outside the relief area after the second drop it will be placed where it first touched the ground on the second drop. To her credit, Kim bounced back from the fiasco, firing a two-under 34 on the front nine (her second nine) to get back to six over for the day. Conditions were tough for scoring across the board on day one at the ANA. American Ally McDonald led after a four-under 67.